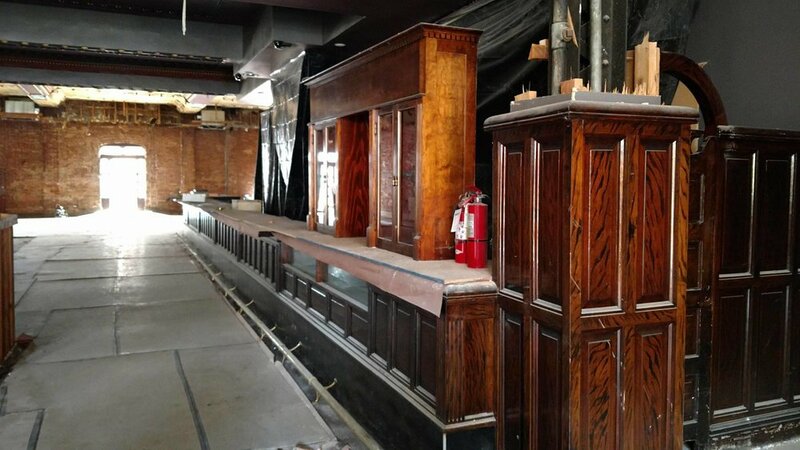 In 2016, BoiseDev reported Boise-raised NYC chef Cal Elliott planned to open a new fine dining restaurant in the former Bouquet bar space at 1010 Main St. in Boise. 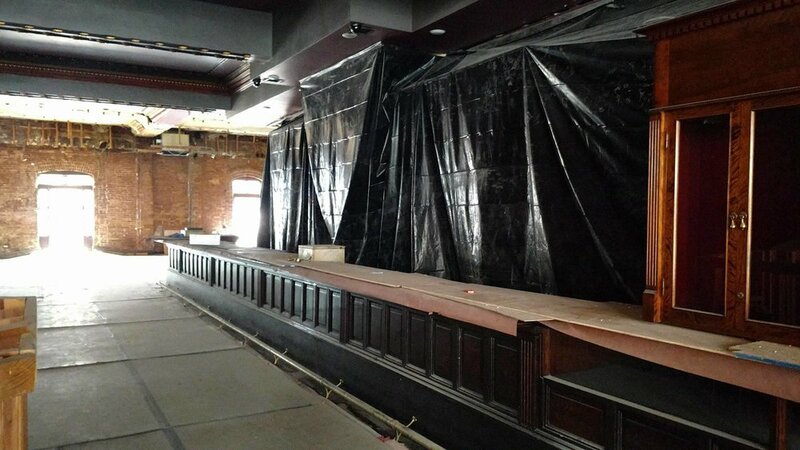 Over the years, the building has housed a 500-seat movie theater, a hotel, and several bars with variations on the Bouquet name (Blues Bouquet, Ice Bouquet). 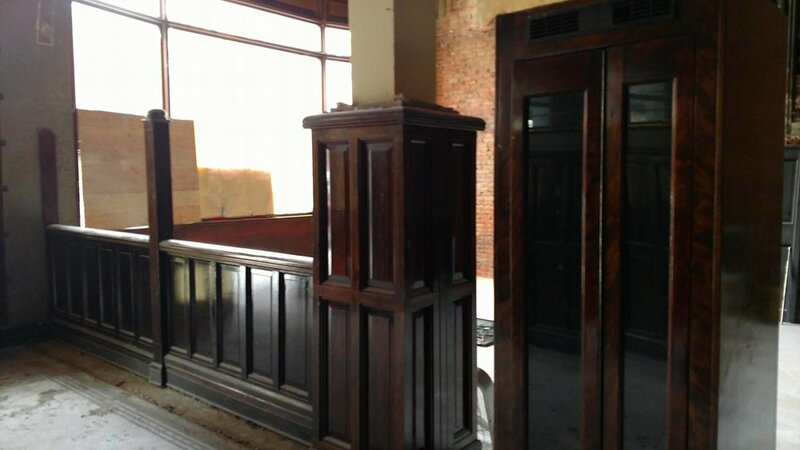 It was built in 1910 and is one of downtown’s oldest surviving structures. Elliott confirmed at the time that he was working to clean up the space – but wouldn’t offer much in the way of additional detail, and has not responded to emails in the months since. A portfolio of a branding artist professes to have created branding materials for the project – but that idea seems to have stalled in recent months. The back of the building on April 26. 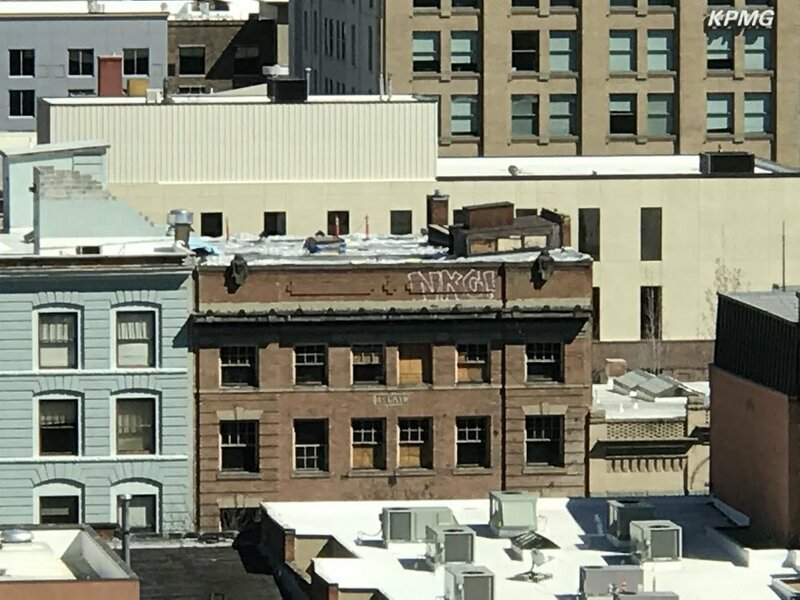 BoiseDev.com photo. 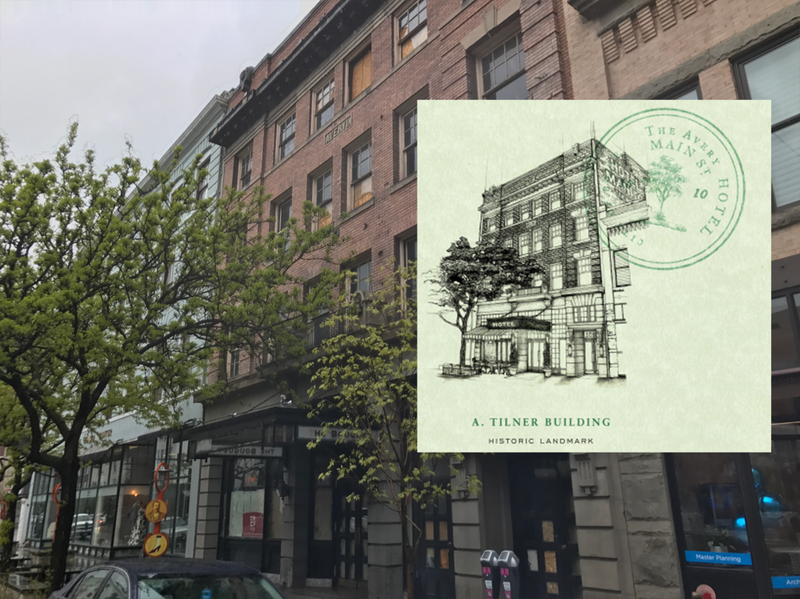 According to records kept by the Ada County Assesor, Avery LLC now owns the building and property underneath it – and is delinquent on a tax bill of nearly $10,000 for 2016. 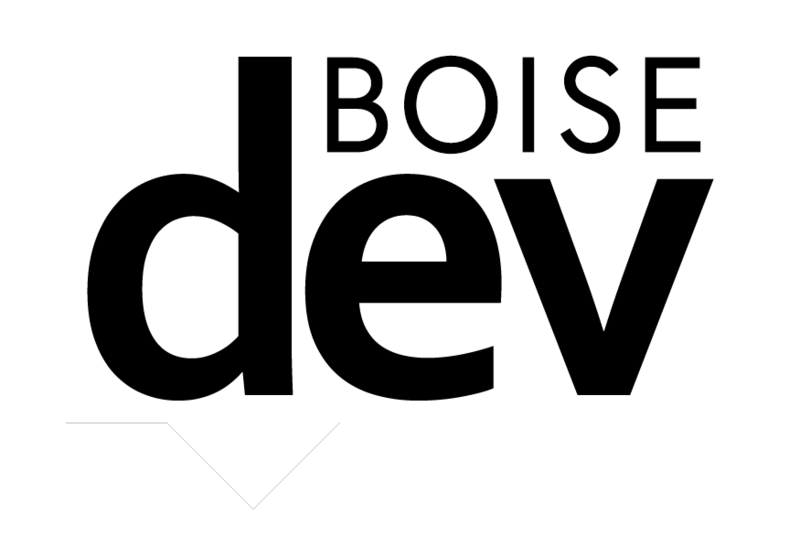 Update: Elliott contacted BoiseDev to say the property tax bill has been paid, though records from the Ada County Assesor show the amount as delinquent. Photo of the roof in March. 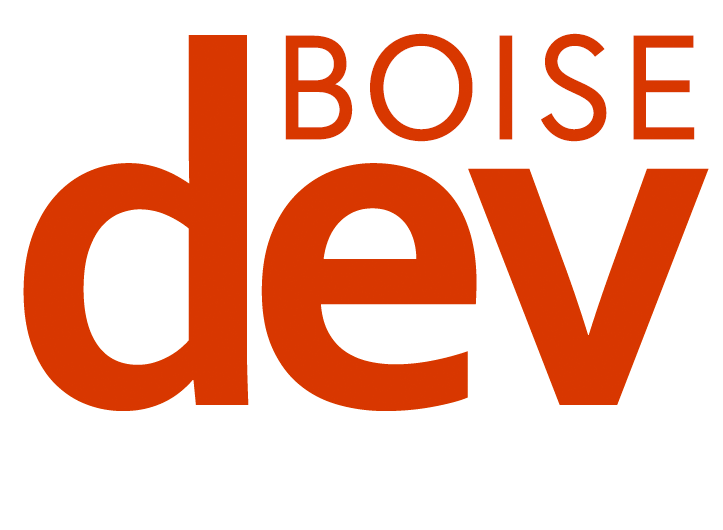 BoiseDev.com photo. 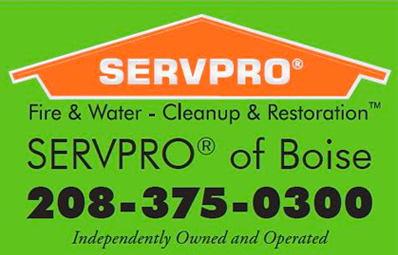 Elliott is listed as a manager of Avery LLC along with a Rob Elliott – and the two men share an address on filings with the State of Idaho. 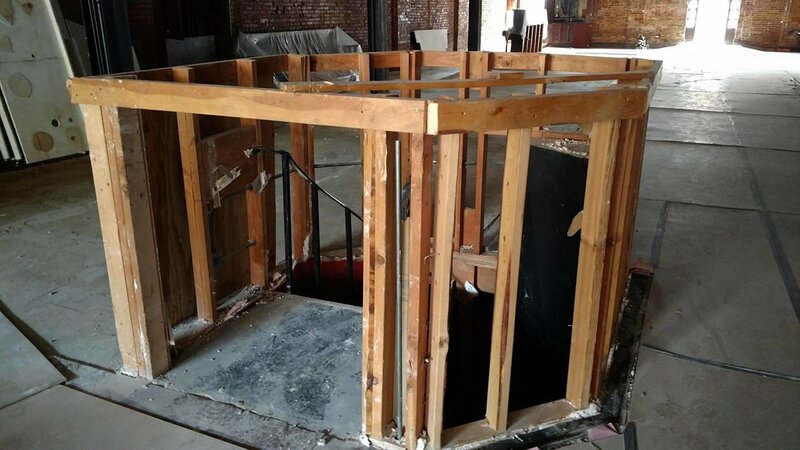 In February, BoiseDev noted that a portion of a wall tumbled from the top story of the building, landing on the street below. 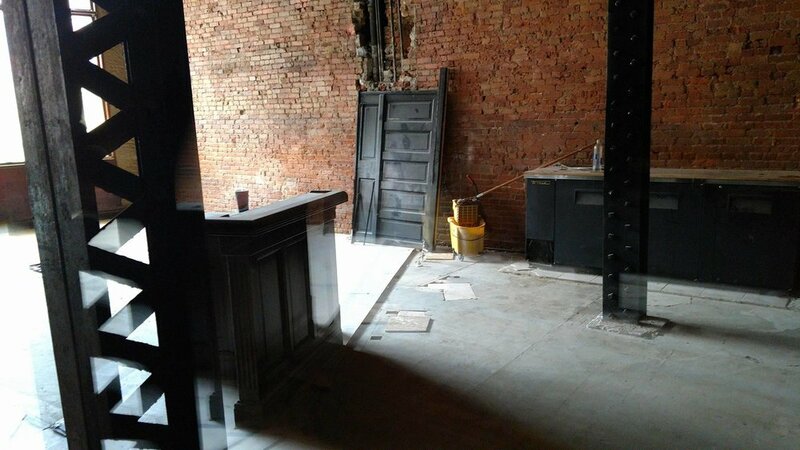 The bricks have been removed from the alley and metal bracing has been added to the backside of the building – but the hole mostly remains, framed in by wood wall materials. 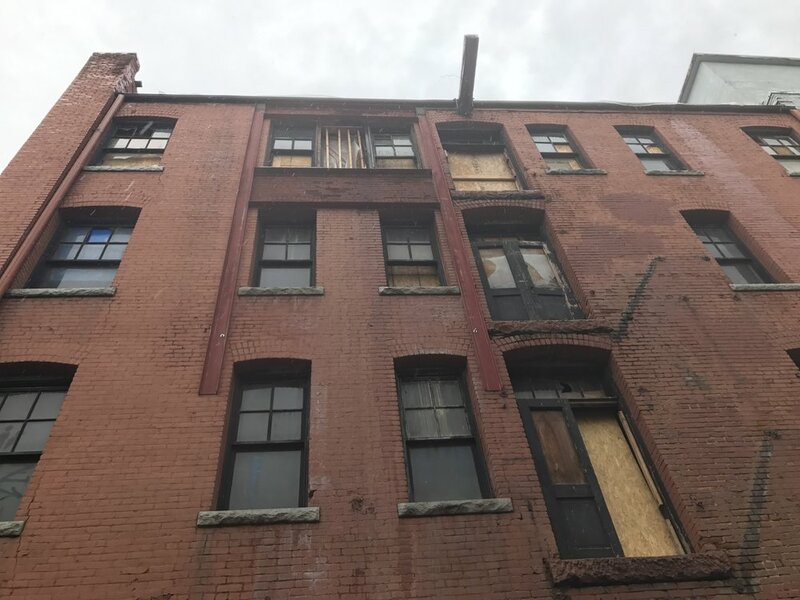 A photo of the building’s roof taken in March showed the roof covered with tarps, and orange cones in the area where the bricks had fallen off. 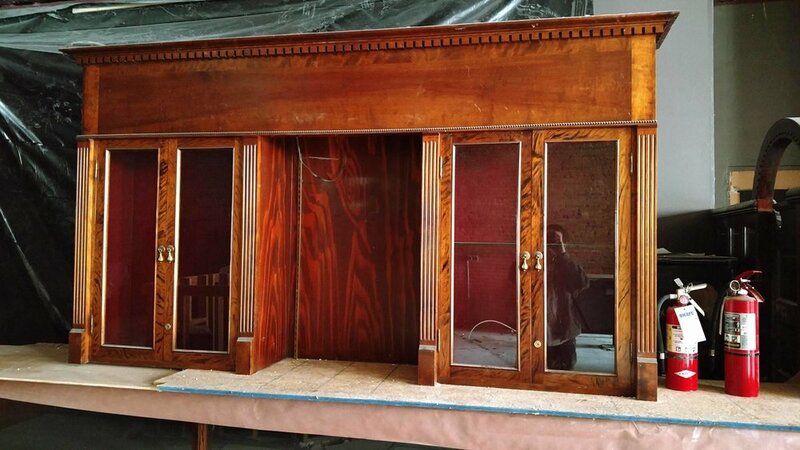 Reader Brett Adler was walking by the Bouquet in March when he saw an open door and was invited inside by a worker. He took a series of photos that shows the previously reported cleanup effort at the Bouquet. 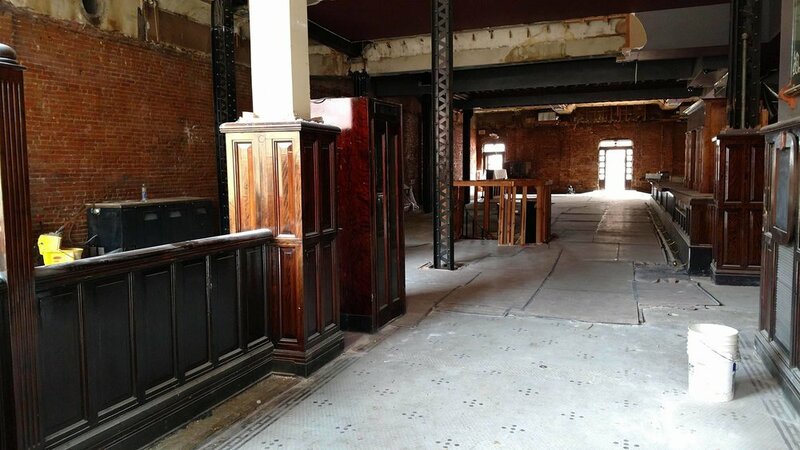 A peek through the windows today shows the inside to be in the same conditions as it was last month. Apparent branding materials for the restaurant, hotel and tavern are posted on the website of Open Sea Design Co. 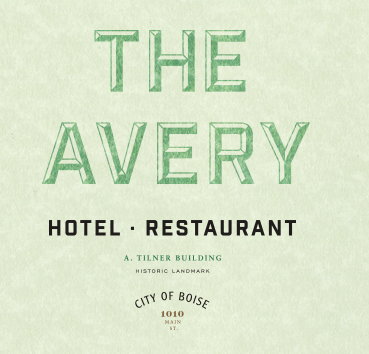 The menus and logos show a concept for a “Restaurant – hotel” known as The Avery – an apparent nod to a portion of the building’s historic name (the Averyl Tilner Building). The posted menu for The Avery shows items like lasagna, grilled duck breast, pan roasted cod and more. 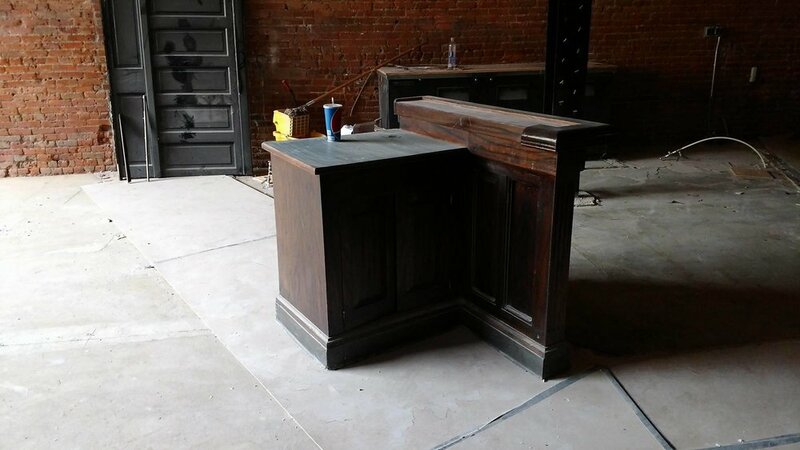 A second menu for something called “Tiner’s (sic) Alley,” looks to include bar fare. Avery = Averyl. Tiner = Tilner. “The branding was inspired by the building’s rich history,” according to the designer.